April 03, 2019 (GLOBE NEWSWIRE) Rental Market— Toronto Real Estate Board President Garry Bhaura announced that Greater Toronto Area REALTORS® reported 6,646 condominium apartment rental transactions through TREB’s MLS® System in the first quarter of 2019. This result was up by 7.7 per cent compared to Q1 2018. Rental transactions were up for bachelor, one-bedroom and two-bedroom apartments. The number of condominium rental apartments listed at some point during the first quarter of 2019 was also up on a year-over-year basis by 22.4 per cent – outstripping the annual growth rate for rental transactions. “It makes sense that we continued to see an increase in condominium apartment rentals during the last quarter. The GTA’s population continues to grow as people are attracted to the region by its strong economy and diversity. At the same time, it was also good to see an increase in the number of units listed for rent. However, with average rents continuing to increase well-above the rate of inflation on an annual basis, market conditions clearly remain tight. Development of more rental supply is imperative to the long-term sustainability of the GTA rental market,” said Mr. Bhaura. The average Q1 2019 one-bedroom condominium apartment rent for the GTA as a whole was $2,143 – up 7.4 per cent compared to Q1 2018. Over the same period, the average two-bedroom condominium apartment rent increased by six per cent to $2,811. 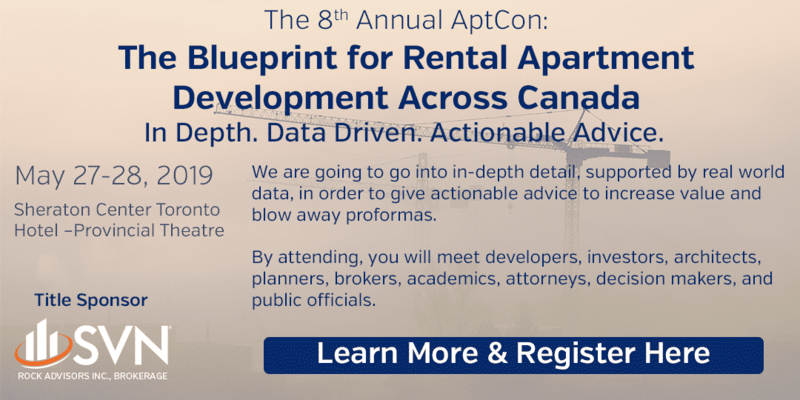 “Affordable rental housing is an important component in the overall competitiveness of the GTA. Businesses and individuals are more likely to locate in regions where there is a ready supply of affordable housing alternatives. While condominium apartment investor-owners have provided the great majority of new rental stock over the past decade, we know there is a need for many more rental units, as evidenced by vacancy rates hovering around one per cent. TREB looks forward to working with policy makers in the design of proactive housing policies pointed at the development of new rental supply, including during the recently announced City of Toronto Housing TO consultations,” said Jason Mercer, TREB’s Chief Market Analyst.